CAMBRIDGE, United Kingdom. 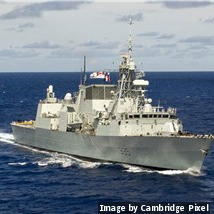 Lockheed Martin Canada officials tapped Cambridge Pixel to supply its radar acquisition and display technology for integration with the naval Combat Management System 330 (CMS 330). 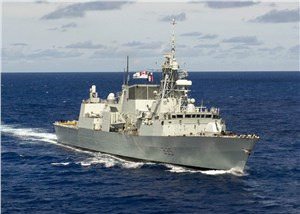 The CMS 330 is a derivative of a Lockheed Martin Canada legacy product that was originally developed in Canada in the 1980’s for the original build of the Royal Canadian Navy’s HALIFAX Class ships, according to Lockheed Martin's documents. The Cambridge Pixel scan converter runs in each display console to convert the polar-format network video into a PPI or B-Scan representation for display to the operator. The radar image must be scaled and adjusted to match the view being requested by the operator. The radar image can then be combined with the map graphics, such as nautical charts, and overlay symbols, such as track positions. The combined multi-layer picture is then presented to the user. The CMS has full control over the presentation of the radar imagery, including colour, brightness, fading, trails and scan correlation.